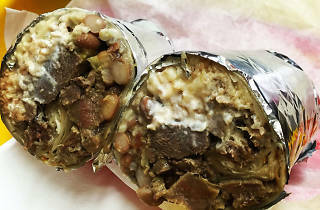 The Mission burrito has its roots in 1960s California, but it went on to conquer the entire country: these massive, overstuffed “little donkeys” filled to bursting with rice, beans, guacamole, cheese and other ingredients are surely what come to mind when you think of the genre. 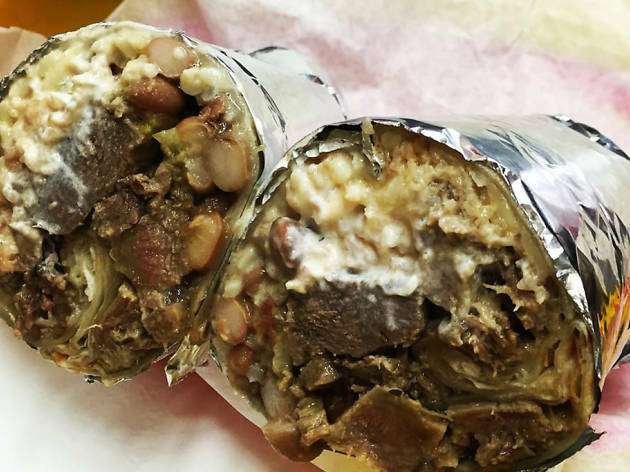 While there are hundreds of taquerias in the Bay Area, many of which serve a killer burrito, we’re partial to the bad boys plated at El Farolito, a staple on Mission Street since 1982. The giant “Super Burrito” comes loaded with your choice of meat, all the standard fixin’s, plus sour cream, cheese and avocado, and is guaranteed to make your hangover a thing of the past.